When Shubal leads kirtan, the flow of his Gurus’ Shakti fills everyone in the room. 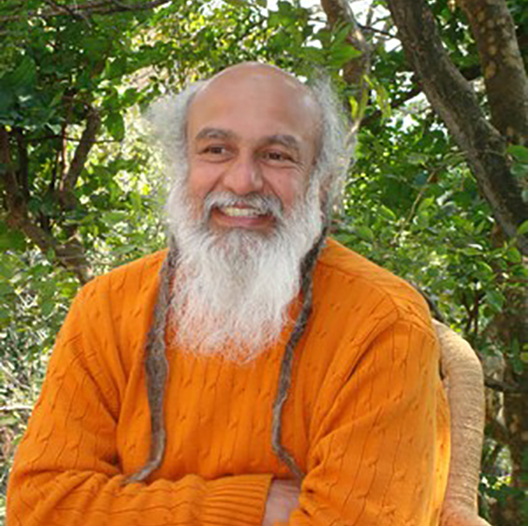 Shubal’s kirtan is unique: his power, his love of God, his amazing experiences and wisdom, and the grace of his Guru, create an environment which can be experienced nowhere else. Come and feel the uplift with Shubalananda Kirtan. Born Larry Kopp in 1944, Shubalananda’s musical journey began at age seven, when he insisted his mother buy him a ukulele for his birthday. Neither of his parents were musicians, but he was strongly drawn to traditional American music and began immersing himself in as much of it as was available in those days. From that point forward, he started to meet numerous Indian sadhus, almost mystically. One after another, they instilled in him a taste for the spiritual, particularly through kirtan. As he became more and more absorbed in chanting the holy names, he traveled to India and studied and practiced profusely. His journey became more pronounced when he met the controversial South Indian desert Sadhu, Sathya Sai Baba. This led to other relationships that would change his life. For example, Mr. Ravindrin and Ms. Mani Bashyam, both close associates of Sathya Sai, taught Shubalananda the intricacies of classical Indian bhajan, enhancing his practice of kirtan. Ma Chetan Jyoti, the greatest Kirtan Wallah in all of India, became his teacher 18 years ago. 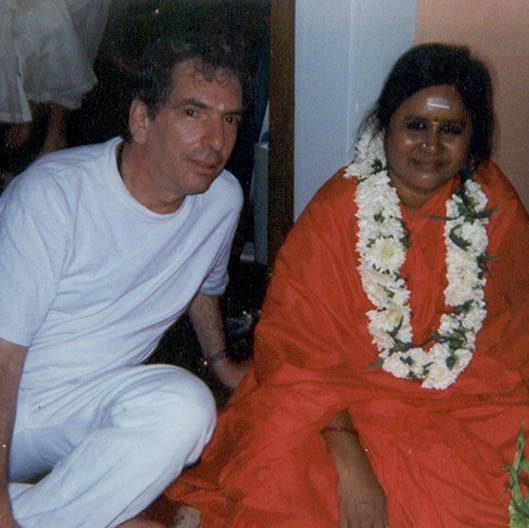 From Her he learned the true meaning of Bhava, and the power of Dharma, as well as dozens of Her kirtans. 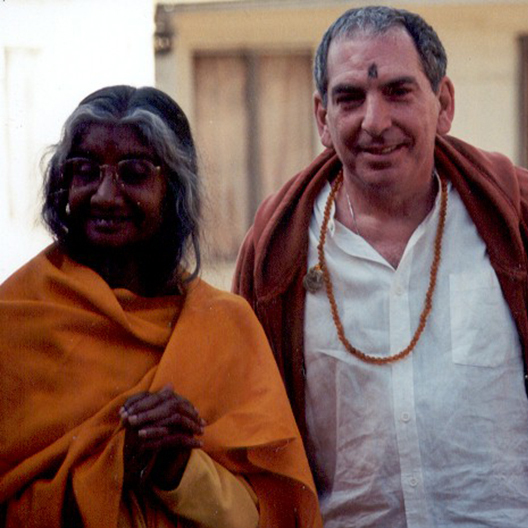 As She left Her body in 2007, She bequeathed him Her Mala, which he holds in great reverence. Over the years, Shubal has played with popular wallahs Krishna Das, Bhagavan Das, Dave Stringer, and Wah!, He’s published a magazine on kirtan called “Time & Space”, has written a book on kirtan with the words and music to about 100 kirtans, and his autobiography, Kirtan Wallah. 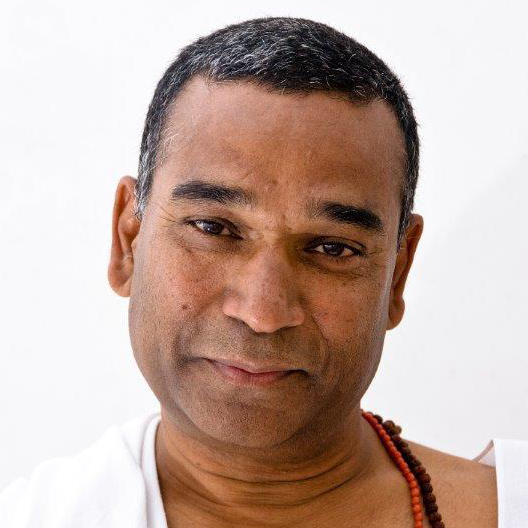 One of the busiest kirtan-wallahs on the spiritual New Age circuit, his voice can be heard in yoga centers all over the northeast on a regular basis. He has created a community of thousands, and continues to motivate singer songwriters to consider becoming kirtan wallahs. His purpose, his Dharma, is quite different. Please visit us on Facebook for event reminders, videos, and more! Kirtan is a spiritual practice, it’s a form of meditation. Meditation is a state of mind where your thoughts become quiet, your mind becomes peaceful. The principle is that you cannot think when you are singing. Singing kirtan brings your mind easily to an inner silence, it is a shortcut to the meditative state. 2. Do I have to know how to sing? No, you don’t need to know how to sing! Anyone can join in and participate in Kirtan. This is a spiritual practice and the quality of your voice has no bearing on the peace, joy and uplifting you will feel. Join us and you’ll see! 3. What if I don’t know the words? Don’t worry if you don’t know the words. You will catch on quickly. Shubal often reviews the words first, and you will be able to follow his responder. We also have worksheets available. After a few times, you will know the words by heart! And if not, hum along and you will still benefit from the practice. 4. I don’t really understand what this is – is it a performance? Kirtan is not a performance. Kirtan is a spiritual practice, it’s a form of meditation. Meditation is a state of mind where your thoughts become quiet, your mind becomes peaceful. The principle is that you cannot think when you are singing. Singing kirtan brings your mind easily to an inner silence, it is a shortcut to the meditative state. 5. What if I cannot afford to come? No one will be turned away for not having enough money. Shubal embraces the practice of Dakshina. This is a sanskrit word that means offering, or gift. Your donation supports the Shubalananda Kirtan band in traveling to their next location. Your donation is a gift to the next community that receives the spiritual practice of Kirtan. 6. I want to hire Shubal for an event, what should I do? 7. Can I preorder your new CD? Absolutely! Vortex of Love is due out on May 1st, but you can support the process and pre-order your copy by sending a $20 gift donation to https://www.paypal.me/shubal and be sure to include your mailing address! Pioneer Spirit was a radio show produced by Shubal and Ashley that aired on Valley Free Radio on Sundays in 2013-14. A sampling of our favorite episodes are listed below, as well as a link to the entire episode archive. Click on the link to enjoy the show! Episode 3: An interview with Krishna Das, talk about Nisargadatta, music and more! Episode 9: Guest DJ Lady Tiana Sophia joins Shubal and Ashley in the studio for an interview and great music.. Episode 35: An in-depth interview with Robert Moses, music and more.. The entire archive of episodes can be found here. Enjoy the video below as a sampling of this practice, more to follow..
Mata Amritananda Mayi : She stopped darshan and just listened.